It's looking like big Pharma is responsible for a whole lot of deaths. I wonder how we would do that, and what "drugs" are we talking about having a war against? Anything that the normal use of produces an immediate high should be made a strictly controlled substance, if not outright illegal (depending on what it is). Recreational use should not be allowed. Is this a preference they be illegal or is there biblical warrant? Nope. I've had stuff from Oregon and Colorado with up to 25%+ THC. And just one puff isn't going to get you "high." Now if you're talking about joints that have been infused with concentrates, that is another matter. But I haven't messed with that stuff. Still doesn't change the fact that you're trying to make your argument on anecdotal evidence. Which just doesn't fly here. Right now it isn't....you catch someone breaking this so called law, and your the judge, what do you do? I recommend you go read http://kgov.com/pot. You'll find it far more informative than my tired brain can be right now. Not interested in Enyart's take.....Ive been where you are, believing everything the man said. Im interested in your take, so I will wait..
What doesn't fly is your lack of personal observation or experience, which leads you to draw erroneous conclusions about cannabis based on skewed reporting that has more in common with the "Reefer Madness" movie than with reality. I DID address your argument. You claimed, "But one inhale on a joint of weed is enough to produce a high." And I told you that isn't true, plain and simple. Got any more arguments? Depends on the sensitivity of the user and the potency of the weed. One puff in '67 was not enough but one puff in '78 after years of Yogic purification and meditation was more than enough. Which is why anecdotal evidence is not good enough to defend a position. But you seem to keep ignoring that. What I believe has nothing to do with it. Facts are where it's at. I have already said and conceded that pot has medicinal uses. But that's not what we're discussing. I also said that it SHOULD NOT be self-prescribed or an over-the-counter drug. It should only be mercifully prescribed by a doctor to those who need it. People who smoke pot are two and a half times more likely to be violent. Teens who smoke pot regularly are 26 TIMES more likely to start using other drugs. People who smoke pot are nearly 5 TIMES more likely to have a heart attack within the first hour of use. Pot use restricts blood flow to the brain, especially in the memory/dementia region. Pot users are more likely to be losers. Just one minute of secondhand smoke from marijuana (let alone actually smoking it yourself) impairs endothelial function. Smoking pot harms eyesight by damaging the nerves that connect your retinas to your visual cortex. 100 varieties of pot damage nerve fibres that handle the flow of messages across the two halves of the brain. 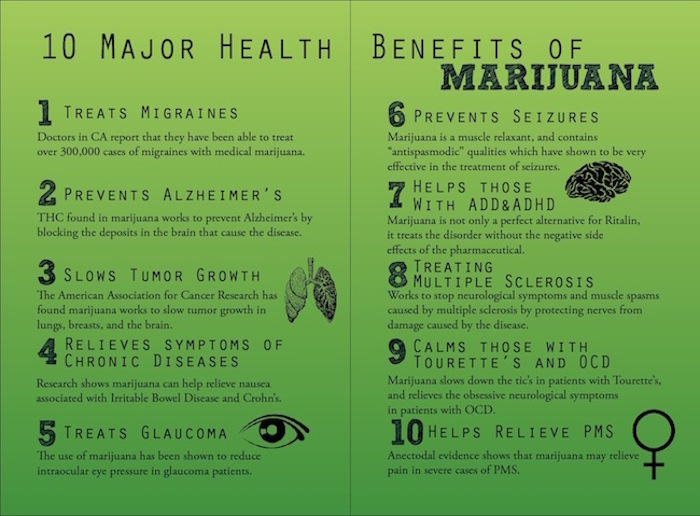 And there are many other reasons besides these 10 at http://kgov.com/pot. At the rate this country is going, that's where we're headed. you catch someone breaking this so called law, and your the judge, what do you do? Have them flogged for putting society and those around them at risk. Say, 5 lashes if they're a first time offender. 20 for second time, 40 for third, and execution for any time after that, because they clearly are unwilling to comply with the demands of society.